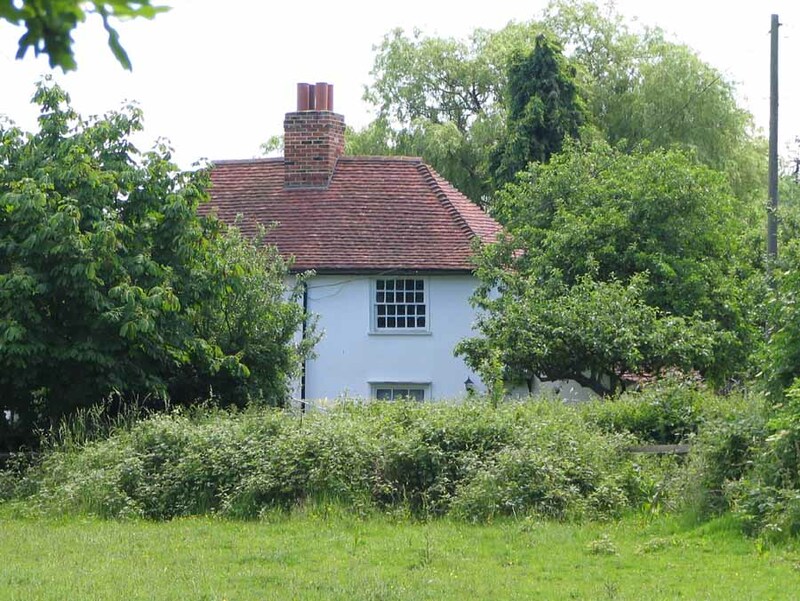 Orchard Cottages, originally two cottages, now converted to a single dwelling. 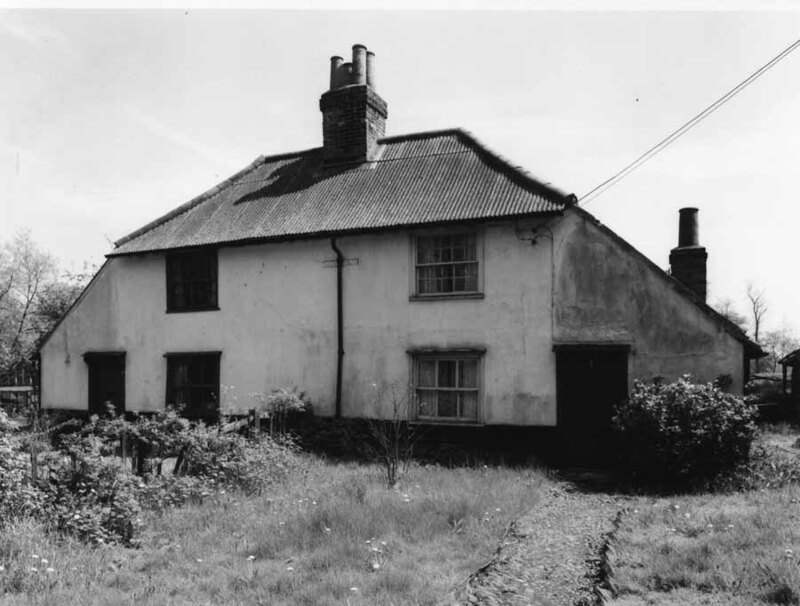 18th century pair of semi-detached cottages. Two storeys, 2 bays wide with side entrances under catslide roofs. Sash windows, some modern. Central axial brick stack. Roof coverings corrugated asbestos on front slope, pantiles on rear catslide and old tiles on side catslides. Grade 2 listed. 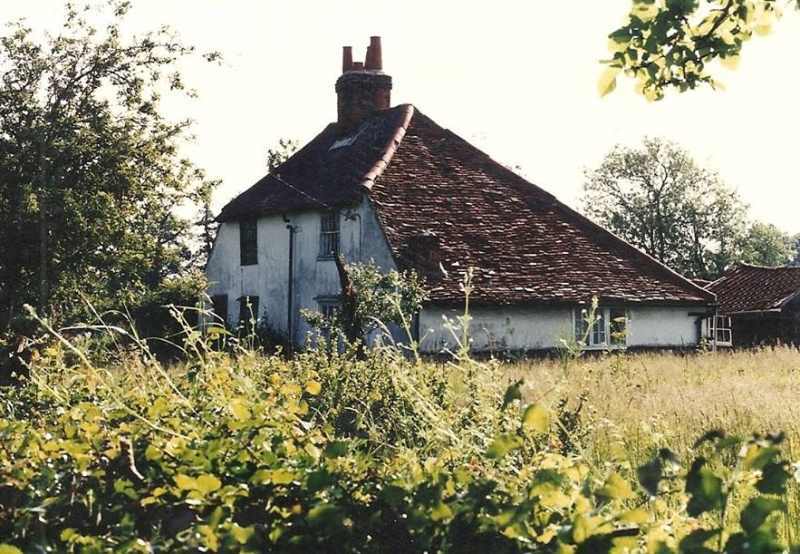 "I wandered around this cottage in the late sixties whilst working for the Greater London Council. The last tenants had died or left. 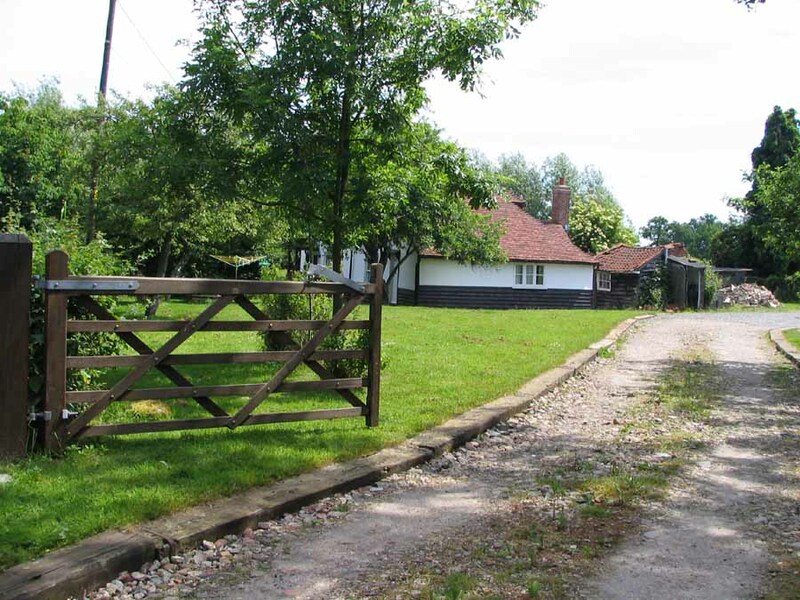 It was deemed to be too costly to bring it up to modern standards for renting and it was sold on the open market. My only memory of the interior apart from the dilapidation was how low the ceilings were"
Maybe late 60's early 70's. Later in the 1990's. No doubt, one of the best Noak Hill restorations.